I love ice with my drinks, especially when I’m just drinking chilled water. 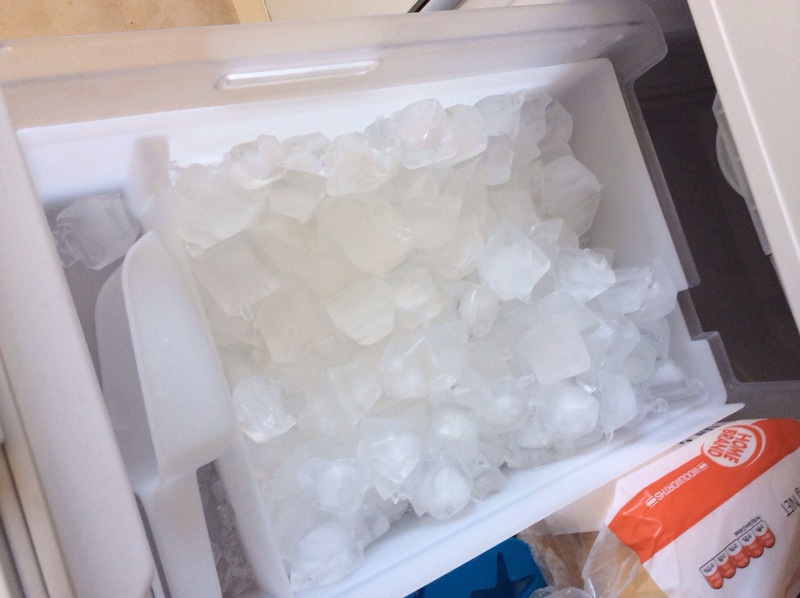 We’ll my father came to visit for a few days last week, and each morning he’d get up and grab all the ice from my fridges ice maker to help keep his chilly-bin in his camper van cold. This meant often when I went for a cold drink, there was a ice shortage. The sun has come out, and it’s nice and warm. For a while it has been cloudy, rainy, and very windy, so it’s nice to see the sun again. I just got called up on the RT and had my morning shift extended by an hour. Guess somebody is sick and they need to break up and cover their shift. Good news for me though, as it means I will be in town about the same time my wife has lunch, so joining her is the plan. Of course having lunch in town will cost close to what the extra hour gave me, but that’s no problem, may have gone into town anyhow, so that would have been just as costly, not had the extra work, and I would have to have an extra trip into town. Finally, there has been some rubbish (McDonalds) on the side of the street the last two times I’ve driven past in the bus. It’s gone now, so somebody out their cares about the neighbourhood (Corstophine), so that is nice and cheered me up as well. Lots of things I should do, or want to do, but keep getting put off. Two things I’ve been meaning todo for this blog are to make a poems page, and make a quotes page. I used to write poems. I haven’t for a long time. Maybe because I was more depressed then, or maybe just in a darker place, as most of my poems were dark. Hopefully I will get around to posting them on a page soon. Quotes, I have a small collection. I hear them on tv shows, movies,and other places. I decide I like that, and I jot them down somewhere, normally my phone. Nothing seems to happen from that stage though, so I should make a page and try to collect them together in one place. Then maybe every now and then when I’m in a dark place I can just read through them to cheer myself up,a little. Finally, comments on this blog. Currently I’m not checking or approving them. The reason is I’m getting hit by spam bots submitting about one hundred per day, and I just don’t have the time or energy to go through that sort of collection seeing if any are valid, so I just delete them all. So I guess I need to add a plugin or something to deal with them. One day these things will happen, but I’m lazy, so probably won’t be today. Tomorrow is my 42nd birthday. Big deal for me as 42 has been my fav number ever since I read the books. My wife has allowed me to get an awesome digital electronic lock for the front door. Keypad which glows and everything. The lock is about $450 by itself, it’s going to be very cool. Very very happy! Locked myself out of the house while going to work. No time to catch a bus so had to catch a taxi to get there. $12.70 down the drain. Checked the timetable, and looks like I’m going to miss the bus home by ten minutes, so either another taxi, or wait in the rain for fifty minutes for the next day. Looking at getting a keypad for the door, as I’m sick of locking myself out. Oh yes, just to rub salt into the wound, when I get to work I have to go to the office to get my spare key for my locker. This is on the opposite side of the entrance to where the bus modules are, so I forget to log one on, and when I get to my bus transfer, I realise I have forgotten it, so have to call up,the office to send one out. Will likely get a written report for forgetting that. Just not my afternoon. The morning was good though. 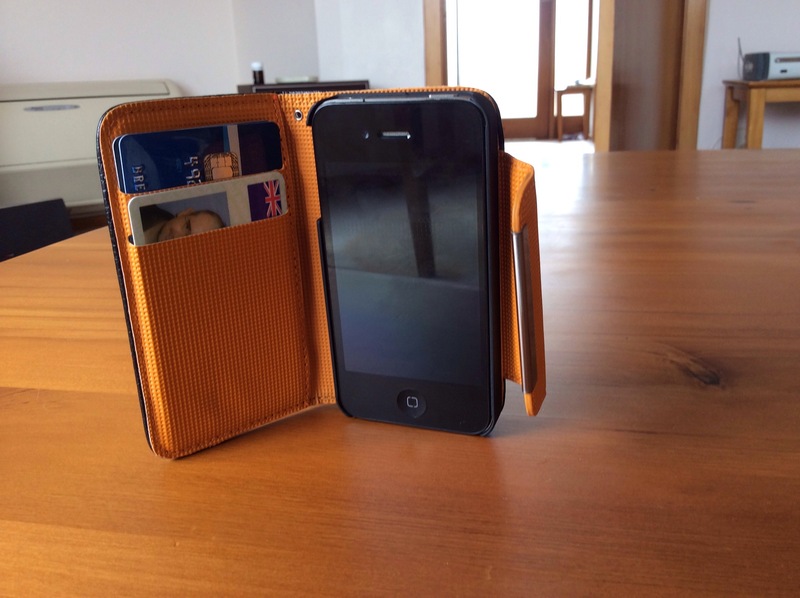 I’ve always been carrying around my phone and my wallet. The reason for the wallet is basically a visa so I can spend all of my wife’s money, and a drivers license so I can drive. Yo most of the time that’s all I need.